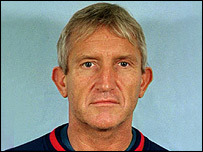 Convicted murderer Kenneth Noye is going to the High Court in his latest attempt to overturn his life sentence. Noye, 60, was jailed in 2000 for killing 21-year-old Stephen Cameron on the M25 at Swanley, in Kent, in 1996. An appeal by Noye was dismissed in 2001, and in 2004 he failed in his bid to challenge his mandatory life term. He is now seeking to challenge the Criminal Cases Review Commission's (CCRC) refusal to refer his conviction back to the Court of Appeal. Noye, who was extradited from Spain in 1998 to stand trial for Mr Cameron's murder, has been held in the special secure unit at Whitemoor Prison, in Cambridgeshire, since May 1999. He fled to Spain in 1996 after stabbing his 21-year-old victim. Noye will seek a declaration that the CCRC's decision last October not to send his case back to the appeal court was legally flawed. He is also expected to argue that at the time of his extradition the UK prosecuting authorities promised he would not have to serve a life sentence, and that he has been treated unreasonably and unfairly.